Coming soon to a printer near you: more NFC. 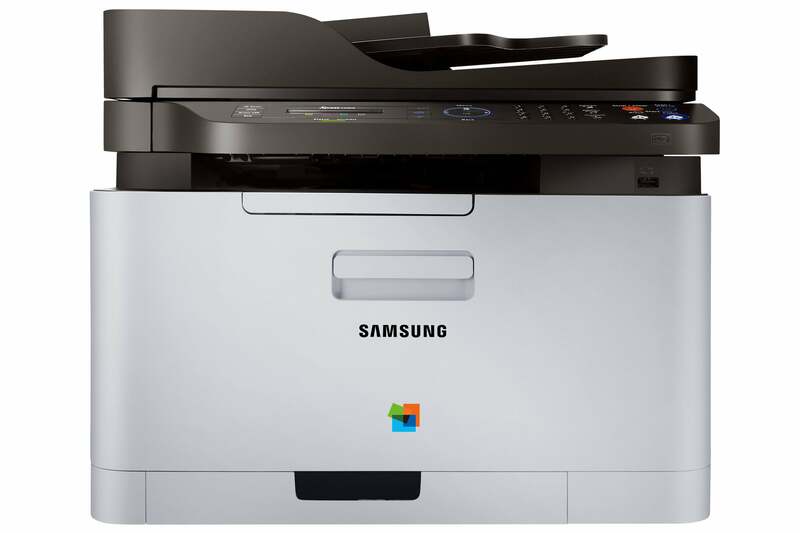 Samsung said Wednesday that two color laser printers with near-field communication would be available in the U.S. starting next week. (The printers were announced in Korea last month.) The products are the Xpress C410W color laser single-function printer, which will cost $229, and the Xpress C460FW MFP color laser multifunction printer, which will cost $399. NFC is still most common in cell phones and tablets. But no matter how much content moves online, everyone needs to print once in a while. NFC is supposed to make it easier for that print to happen through a simple touch, though there’s also an app involved, of course. Brother beat Samsung to the U.S. market with an NFC-equipped inkjet multifunction printer two weeks ago, the MFC-J870DW, but Samsung’s are the first laser-based models to arrive here. The C410W is your basic, low-end color laser for a home or very small office. The C460FW MFP is based on the same engine but adds a scanner and automatic document feeder for copy, scan, and fax functions. Both products have top print speeds, per Samsung, of 19 pages per minute (ppm) for plain, black text and 4 ppm for color output. Paper handling includes a 150-sheet input tray and a 50-sheet output tray—best suited for low-volume use, in other words. The Xpress C460FW MFP color laser multifunction printer will cost $399. Here’s your other hint that these are low-end products: the toner capacities. The printers ship with starter-size cartridges that last for just 700 pages (black) and 500 pages (each color). Replacement cartridges last 1,500 pages for black and 1,000 pages for each color. A home or small-office user is assumed to print at fairly low volumes, so it may take a while even to get through those starter cartridges. But once you do, don’t be surprised if the replacement cartridges have high costs per page. That’s how it works with the cheap lasers: They get you on the toner instead. Samsung isn’t stopping there. The company says that an NFC-equipped business printer will be coming in early 2014. To a large degree, NFC is a technology still seeking its destiny. At the same time, printers are doing their best to stay in the tech game. Adding NFC helps them keep pace, just as they all had to jump onto cloud printing a couple of years ago. For the moment, it's a differentiator for these printers, but the truth is that unless near-field communication pops up in more products—and more services, it's not going to get very far. Melissa Riofrio spent her formative journalistic years reviewing some of the biggest iron at PCWorld--desktops, laptops, storage, printers. As PCWorld's Executive Editor she leads PCWorld’s content direction and covers productivity laptops and Chromebooks.